The direct funding of research initiatives on artificial intelligence (AI) and quantum computing via Budget 2017, and the release of the report of Canada’s Fundamental Science Review present an opportunity to reflect on the role of mathematical sciences within Canada’s scientific heritage and future, but also on our country’s ways of funding research. The importance of the mathematical sciences (mathematics, statistics and computer science) is deepening in almost all areas of knowledge. Mathematical sciences provide a conceptual infrastructure underpinning advances in biology, engineering, humanities, medicine, social sciences and beyond. Progress in our understanding in all these fields depends upon advanced research and high-level training in the mathematical sciences. Canadian Mathematician John Charles Fields, the creator of the Fields medal (often dubbed the Nobel prize for mathematics), also played a key role in the founding of the National Research Council in 1916. Today, Canada is served by a collaborative network of mathematical sciences research institutes: the Centre de Recherches Mathématiques (CRM) in Quebec, the Fields Institute for Research in Mathematical Sciences in Ontario, and the Pacific Institute for the Mathematical Sciences (PIMS) in Western Canada. The institutes amplify Canada’s capacity for discovery and invention through partnerships that intertwine our nation’s universities with academic and industrial researchers from across the globe. Together, the institutes created Mitacs in 1999, which, under the leadership of Arvind Gupta, became a cornerstone of the government’s effort to link our graduate students (in all disciplines) with industry. This accomplishment was amply recognized in Budget 2017. 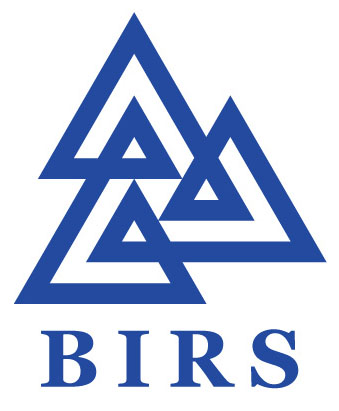 In 2003, they collaborated with Berkeley’s Mathematical Sciences Research Institute (MSRI) to found the Banff International Research Station (BIRS), a unique North-American research infrastructure on Canadian soil, that provides an environment for creative, synergetic, intense and prolonged interactions between mathematical scientists and investigators in other areas of research. In 2002, the three institutes committed to provide long-term funding to the Atlantic Association for Research in the Mathematical Sciences (AARMS), a network that plays an important role in the mathematical sciences research activities of the Atlantic region. In 2003, PIMS collaborated with Berkeley’s Mathematical Sciences Research Institute (MSRI) to found the Banff International Research Station (BIRS), a unique North-American research infrastructure on Canadian soil, that provides an environment for creative, synergetic, intense and prolonged interactions between mathematical scientists and investigators in other areas of research. The need for leadership to advance the mathematical, computational and statistical understanding of information, the development of data science, and the advent of machine learning, prompted the institutes in 2012 to use their own resources to invest in the creation of CANSSI, the Canadian Statistical Sciences Institute. That NSERC did not have the resources to do so at that time sheds some light on the community’s reaction to how Budget 2017 continues to shut out the Tri-Council. AI rests on mathematical sciences. Indeed, some of this field’s prominent leaders pursued their foundational research within BIRS, CRM, Fields and PIMS. AI needs further advances in the mathematical sciences to thrive. We celebrate strong support of AI research but the disjointed approach used by government for its substantial investment in the area of deep learning totally missed the opportunity to include and exploit the national resource that BIRS, CRM, Fields, PIMS and CANSSI represent. This example is but one of many examples that illustrate the importance of some of the excellent recommendations of the report of the Science Review Panel. Indeed, Canada developed world leading expertise and operations in science policy during the era of Pierre Elliot Trudeau. The work of the Senate Special Committee on Science Policy, chaired by Senator Maurice Lamontagne, identified principles to guide Canada’s future governments. The consultation of the scientific community overseen by the panel chaired by David Naylor aligns with these best practices. Direct investments disbursed through political channels, instead of through the Tri-Council’s scientific peer review process, undermine the transparency of research funding programs, and can miss opportunities such as the one we described. Funding allocations to support research should follow consistent and rigorous evaluation processes incorporating independent scientific peer review.